This spotlight is a special one! Kathy Berkshire has been a member of the Rocky River Chamber of Commerce for over 30 years! She has been a part of this family since 1989 when the Chamber honored her as “Citizen of the Year” due to her dedicated work with our city’s PTA organizations as a member and officer, as well as her involvement in community organizations and local charities. Soon, she took on the role of Executive Director of the Rocky River Chamber, serving from 1997-2001. Following her time in Rocky River, she worked for the Lakewood Chamber of Commerce. “Working at the Chambers made me realize the value they offer for businesses and how well integrated chambers are with the business community, the school systems and city hall,” said Berkshire. Following her departure as the Executive Director of our Chamber, Berkshire has stayed very active and engaged; as the recipient of the "Citizen of the Year" award in'89, she had been honored with a "lifetime membership" to our Chamber. And, after retiring from the Lakewood Chamber, she was able to volunteer again on an even higher level. 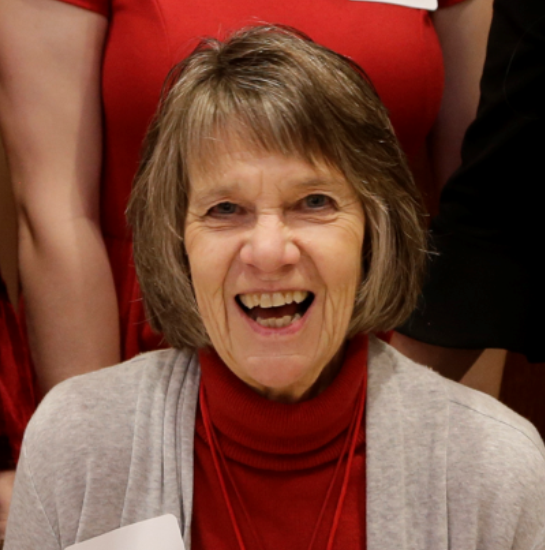 “I returned full time to my volunteering – in the chamber, my church, Rotary, The OSU Alumni Association, Hospice of the Western Reserve, Great Lakes Theater – and spending time with my family,” she shares. Berkshire serves on many committees, including: Membership, Libations Tour, Business Expo and volunteers at nearly every event, even the Chamber’s monthly luncheons. “The Christmas Party is the most enjoyable! Great food, great company and a great camaraderie,” Berkshire said. In addition to the Christmas Party and our committee meetings, you can find her at nearly all of the “before” and “after hour” events, networking and connecting with attendees. Berkshire is dedicated to this city and business community, encouraging relationship-building with all who she encounters. “I volunteer with a number of organizations which I love because it allows me to give back to the community,” Berkshire shares. FUN FACTS about Kathy: she was born and raised in Lakewood, OH. She attended The Ohio State University and is a very proud Buckeye [just check out her email address!]. Following college, she returned home to teach in the Berea Schools. Once married, her family purchased a home and planted roots in Rocky River, and when our son was born, she “retired” from teaching so that she could stay home with him. This is what motivated her to begin a career as a volunteer, which eventually led her to gain interest and the ability to serve as the Executive Director of the Rocky River Chamber!